To promote literacy, a group of volunteers from Panama decided to host a “blind date with a book”, wrapping books up and describing them in a short sentence only. People can then choose a book and be surprised with something they wouldn’t have picked up but will probably enjoy. This is a simple way to make reading more fun for adults and children alike! These incredible volunteers dress up as the most beloved cartoons, superheroes and other characters, visiting children’s organizations and schools to spread joy. 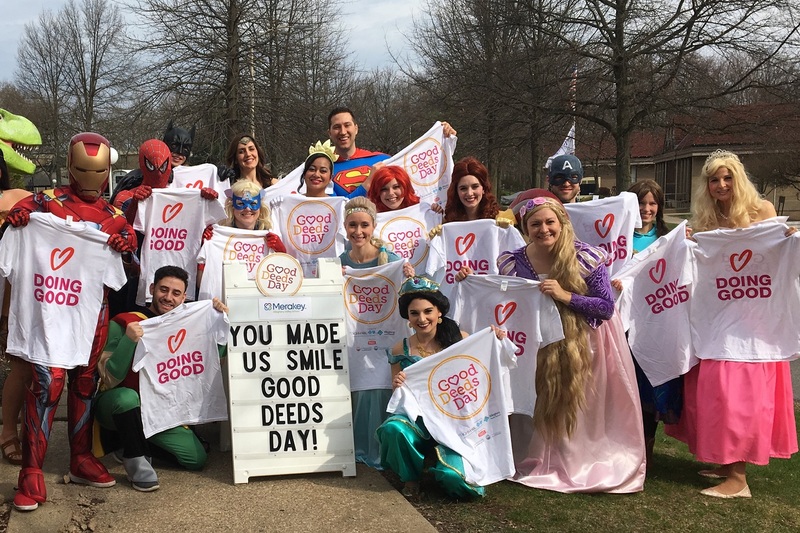 Angels from the Heart spent Good Deeds Day 2018 at Allegheny Valley School in Pittsburgh, bringing charm and happiness with them. Good Deeds Day is a celebration for volunteers, but also for pets! 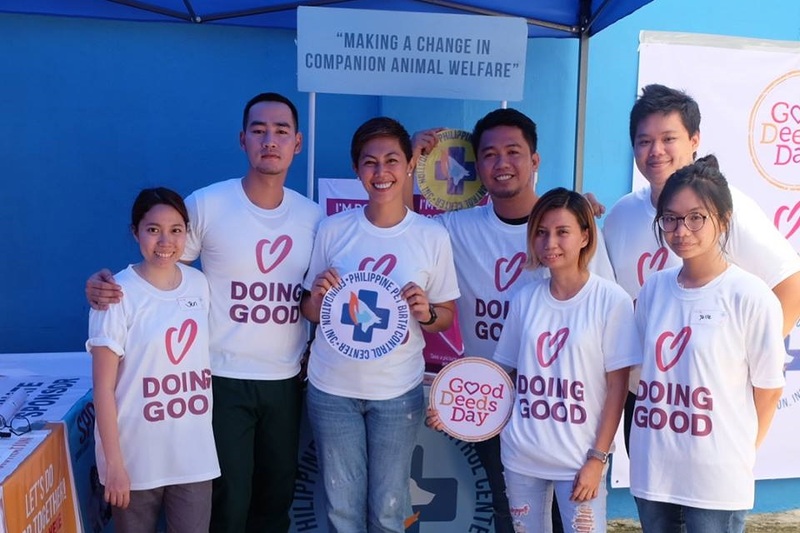 We were thrilled to hear about this beautiful project from the Philippine Pet Birth Control Center Foundation, raising funds for their efforts of creating a positive co-existence between human and companion animals and holding an adoption fair, all in honor of Good Deeds Day. We are sure they advanced their mission to make a change in companion animal welfare! PPBCC Philippine Pet Birth Control Center Foundation volunteers hard at work! This organization, based in Dar es Salaam in Tanzania, made Good Deeds Day 2018 about giving to those in need. They came together to donate and distribute food items to hungry people in their community, but that wasn’t enough – they were out to feed their minds, too, which were hungry for knowledge. Volunteers also distributed books and school supplies to the less privileged in their community, truly making a long-lasting impact on their lives. Stuffed Love’s mission is to provide comfort and support to all, while raising awareness of Congenital Heart Defects and other illnesses and syndromes. The Stuffed Love Illinois chapter is a returning Good Deeds Day participant, providing nearly 300 Stuffed Love Hearts on April 15 this year (and setting the ground for future ones, as well) to be distributed in six hospitals and care centers in their area. Did you take part in Good Deeds Day 2018? Send us your photos to photos@good-deeds-day.org and you might be featured on our blog and social media platforms!